Well started 6 month old Leopard Tortoise (Pardalis Babcocki) These 6 month old well started baby leopard tortoises are well past the fragile hatchling stage and are eating machines. Vibrant caramel colors with brown and black highlights with a beautiful vibrant white starting to show between the scutes. 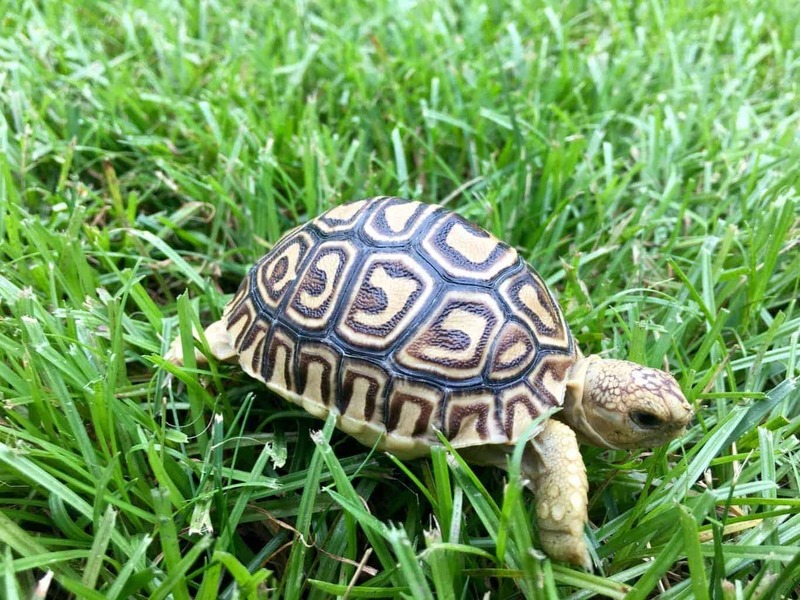 These are top quality Pardalis Babcocki leopard tortoise for sale. When buying leopard tortoises for sale, be sure to choose a reputable leopard tortoise breeder or tortoise keeper who understands proper leopard tortoise husbandry and care. We pride ourselves on selling only top notch tortoises, ready to ship to you via FedEx Overnight in a vented, heated, insulated box. One shipping charge covers up to 3 tortoises. Highly recommend leopard tortoise world! They ship the same day and I’ve bought two torts from them so far and both arrived active and very friendly. Highly recommended. I am very pleased with my baby leopard tortoise, just arrived this morning via UPS (amazing considering I ordered her/him(?) yesterday. She/he? Is beautiful, curious and eating right from the start. Customer care is terrific, Tortoise Town very responsive to al phone/email questions regarding tortoise species/care that I had on both species of tortoise I purchased. Very happy customer. 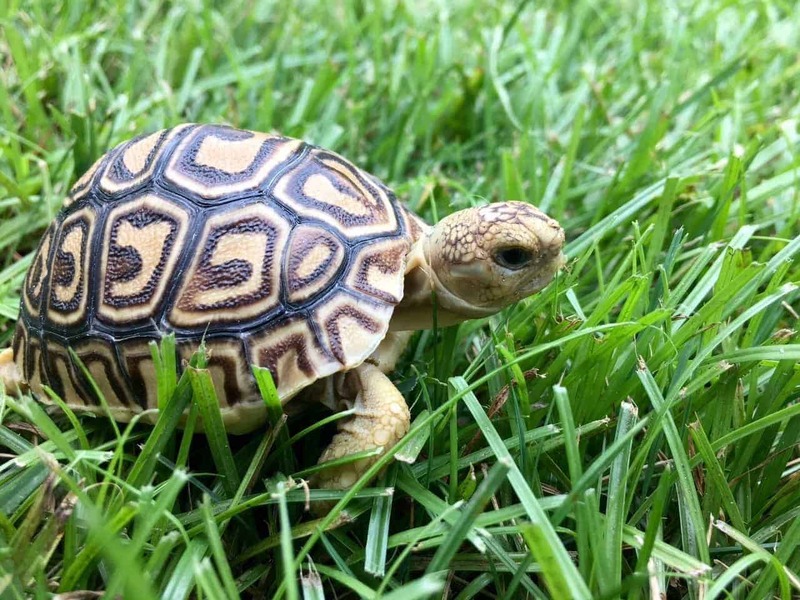 Bought a well started baby leopard tortoise from tortoise town about 3 months ago. She is doing fantastic. The customer service and time they spent explaining proper leopard tortoise care was second to none. Great Company. Received my well started baby leopard tortoise, followed the directions on the care sheet. put her in a little warm water, she immediately drank some, then I introduced her to the terrarium with a little chopped spring salad in a saucer. She found it immediately and had a snack. Lively and curious from the get go. I couldn’t be more pleased. Thanks for the newest addition to the family. I highly recommend Tortoise Town for anyone looking to buy a tortoise for sale online.